Colin is a passionate physician who follows the principles of naturopathic medicine in order to best treat his patients. By combining modern science based therapies and ancient traditional medicine he targets the cause of illness and avoids suppressing symptoms. He completed 3 years towards a bachelor of science in biology at Saint Mary’s University in Halifax and then attended the Canadian College of Naturopathic Medicine (CCNM) in Toronto. Colin graduated from the 4 year full-time program at CCNM, an accredited school of Naturopathic Medicine that includes more than 4,500 hours of classroom training and 1,500 hours of supervised clinical experience. After completing his education he returned to Halifax to practice. In his Halifax practice Dr. MacLeod treats a wide range of health conditions but has a special focus in treating pain, injuries and osteoarthritis. 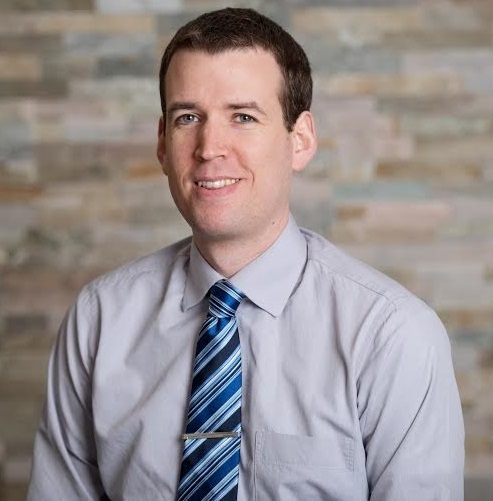 Dr. MacLeod offers naturopathic treatments to his patients including clinical nutrition, lifestyle counselling, acupuncture and herbal medicine. He also offers specialized treatments including intravenous nutrient treatments, intravenous vitamin C, ozone therapy, prolozone, chelation therapy, neural prolotherapy and platelet-rich plasma injections. Read more on services provided. Below is a list of Dr. MacLeod’s up-to-date continuing education. He is committed to continually advancing his knowledge and skills in order to best treat his patients.